No marriage is perfect, there will certainly be tough times in your marriage that you will have to make it through, like it or not. But how are you supposed to keep your chin up and push through when things get tough? Here are some things that have worked in my marriage to help us make it through the tough times. I read somewhere that every single day couples should be asking each other “What can I do for you today?” Choosing to focus on the needs of your partner will not only take your eyes off of yourself (and your troubles) for awhile, but it will really show your partner that you’re putting him first. If all couples would concentrate on meeting each other’s needs instead of their own, I think we’d all get what we want and be happy, probably much more frequently. I had to learn early on in my marriage that there was a time for trying to work things out, and there was a time to give space for things to cool off. I’ve always been the type of person who wants to get things solved quickly. I can’t seem to move on when things aren’t right, and it seems to take over everything else in my life when my husband and I disagree. But if during an argument things get a little heated, my husband is the type of person who needs to take some space. I used to think pushing him to solve the issue would work. It doesn’t. And it’s okay, because everyone handles things differently. The important thing is that after we give each other space, we come back together and solve our issues. The quickest way out of being dissatisfied with what you don’t have is being grateful for what you do have. Even though you might look around at other couples and think, “Wow, they have it all together,” you really don’t know what goes on behind closed doors. No one’s life is perfect. Instead of comparing your marriage with someone else’s, focus on the good things about your partner and relationship. Remember that what you focus on and give attention to will grow, whether it’s the bad stuff or the good stuff. So let’s make sure we focus on the good stuff! Need a few more ideas? 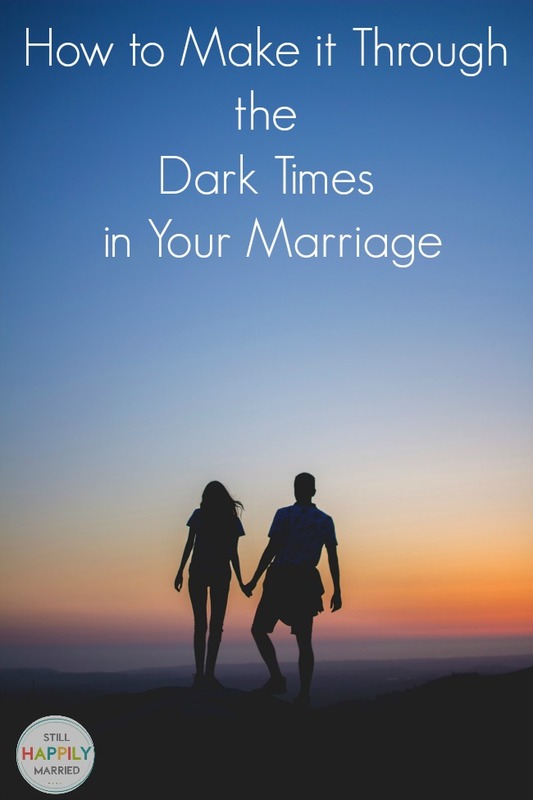 Check out these 25 things to do when your marriage is suffering. Making it through the tough times in your marriage might not be easy, but if you’re committed to your partner and keep the above tips in mind, you can do it. How do you make it through the tough times? We’d love to hear your thoughts in the comments!